Things that go are always a love of children. Watching a train go by on the tracks, floating a toy boat in the bathtub or honking a car horn are magnets for small kids! 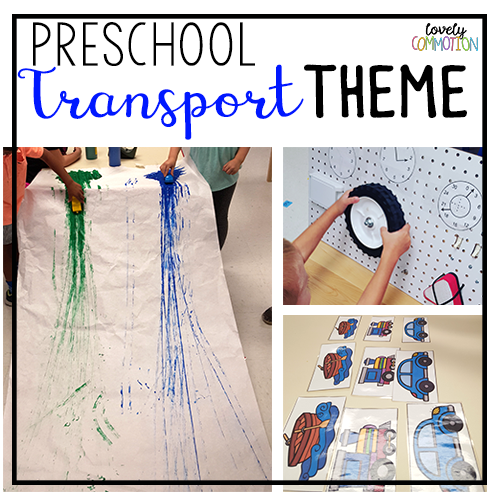 I think that is why the transportation unit in my preschool classroom is always a hit! Freight Train: Sequence and learn about colors with the Freight Train book by Donald Crews. Road Signs: Print out road sign pictures and hang them around the room. Pretend to drive to be a car and drive around the classroom and follow the road signs. For example, at the stop sign- stop and at the railroad crossing sign- stop and look for trains. 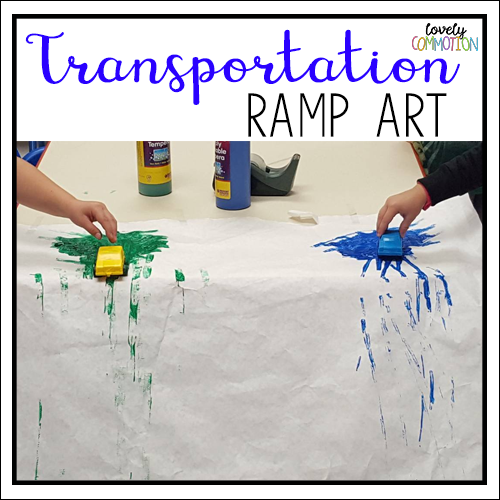 This is activity is integrates gross motor and environmental print! Safe or Unsafe? : Talk as a group about how to be safe when we are in vehicles or near roads/train tracks. 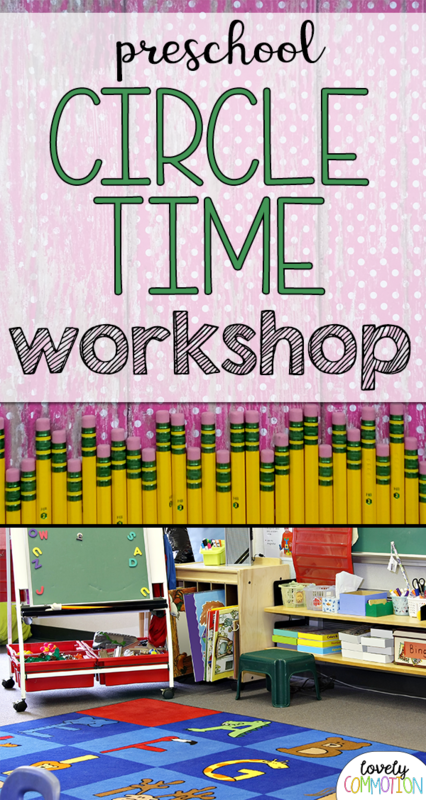 Make a list of how to be safe on the board or chart paper to make this a modeled writing activity too! Painted Car Prints: We took a large piece of bulletin board paper and taped it to the table. I stood on the opposite end on the paper, holding it with my foot to create a ramp. Children took the toy car, got paint on the car wheels and sent it down the ramp. We experimented with what would happen when we changed the angle of the ramp. Shape Vehicles: Have children use paper shapes to create their own vehicle. Marker Cars: Tape markers to the back of toy cars, with the marker tips facing down and touching the paper. Children drive the car to create a piece of art. Paper Airplanes: Can you make a paper airplane that can fly? Pool Noodle Boats: Create a boat using cut up pool noodles, a straw and a foam triangle as the sail. 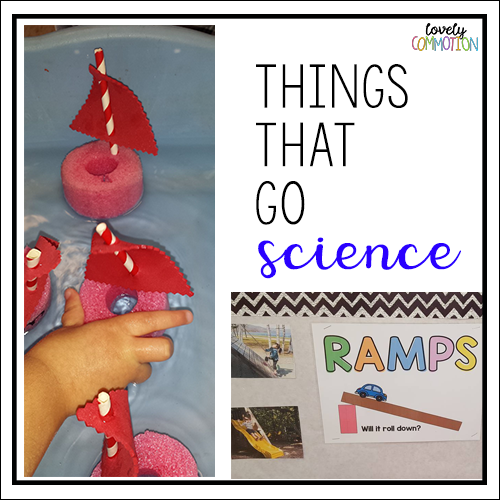 Ramps: Set up a ramps station with various materials to use as ramps (cardboard tubes, blocks, pool noodles cut in half, gutters, etc) and various items to put down the ramps (toy cars, marbles and balls). Transportation Seriation: Children placed the transportation cards in order from largest to smallest. Seriation is an important skill for children to learn, it is a higher order thinking skill. Ordering by size is also a kill that is related to placing numbers in order. Parking Lot Game: Recognizing numbers has never been more fun! I would call out a number and my students would take a transportation counter and place it on the correct numeral. This game was a big hit! Graphing: Graph each student’s favorite way to move from one place to another. Is it the car, train, plane or boat? Analyze the data to see which type of transportation was the class favorite. Sorting: Sort vehicles based on where they operate- the sky, land or water. During our transportation unit, we also had fun playing in the pretend airport. I loved hearing my kiddos talk about the places they were going to. I also loved when they were writing airline tickets at the ticket counter! Our Airport has a baggage claim and also a pilot's dashboard- see the pictures below! Pretend Play airport for transportation preschool unit.